76 percent of Facebook users log in to their account every day. They frequently create status updates, “like” photos, and scan through their news feeds, blissfully unaware of the incredible capabilities of Facebook. 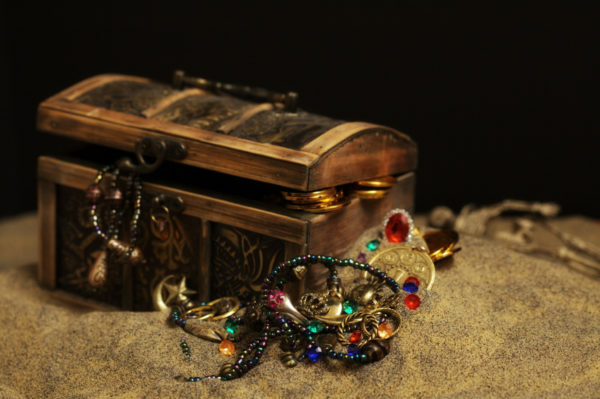 Here are a few great Facebook features that often go unnoticed, hidden gems if you will, that could help improve your Facebook Page. 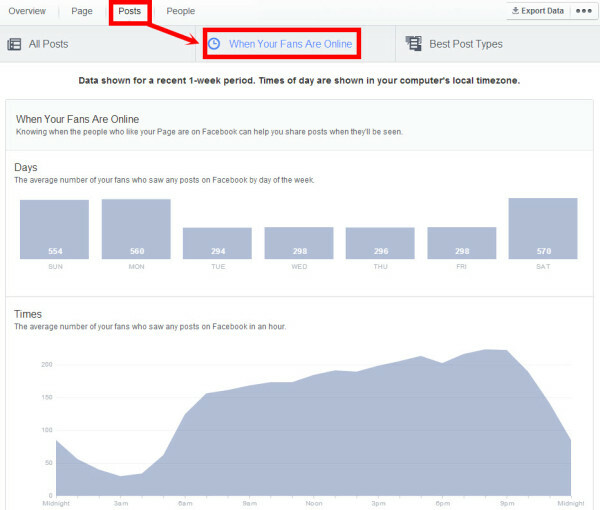 When Facebook updated its insights recently, it added a metric called “When Your Fans Are Online.” This feature helps you figure out when you should post on Facebook by the time and day, in order to get the most engagement and reach. You can find this metric in the “Posts” tab. The “When Your Fans Are Online” feature looks at data from the previous week and shows the average number of fans on Facebook by day of the week and by time of the day. You can see an overall average for time of the day or you can hover over a day of the week to see specific activity for times on that day. You can then take what you’ve learned from these insights and what you know about your audience’s demographics and habits to determine the best time to post on Facebook. Do you promote your Facebook Page on your website? Facebook’s Social Plugins enable you to add more than just a link. How about a “like” button, a live feed from your page, an embedded post, or a list of friends who also like your page? To add any of these to your website you need to know either HTML5, XFBML (a special Facebook markup), or iframe. 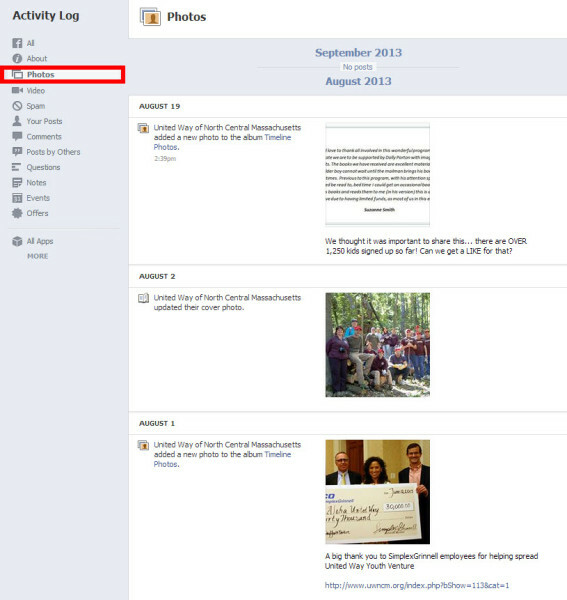 Visit Facebook’s Social Plugins Page and choose an option from the menu on the left. Facebook will display the code and give you options for your social plugin. If you’ve been using a Facebook Profile to market your organization instead of a Business Page, you can convert that profile to a page. You won’t lose your friends, and they will automatically become fans of your business page. The first thing you’ll want to do is download anything you want to keep from your personal profile because none of your other content will move over. Then go to the “General” tab in your settings and click on the “Download a copy” of your Facebook data link at the bottom. Then click the “Start My Archive” button. Facebook will compile the data and send you a link to it via the primary email address on your account. What will you get? Data from 70 different categories including text from your posts, any photos or videos you’ve shared, and information in the “About” section of your profile. Once your profile content is saved, it’s time to convert it to a business page. 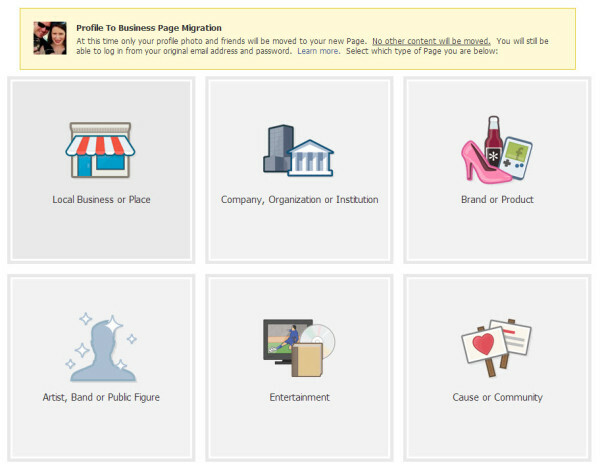 Go to Facebook’s Profile to Business Page Migration and follow the steps. Want some advanced Facebook tips? Join us for our advanced social media webinar on Tuesday, September 24th, “From Just Using Social Media to Getting Real Results.” Register now! SCM uses a very broad variety of intelligent control of the product and ultimately, its shadow, prospects, thus causing the waves to learn microcontroller boom. I believe that many beginners SCM friends are doing LED water light from the beginning, because the LED water light circuit is relatively simple. Watch made it in accordance with their own ideas LED water light changes with different pattern, orderly running, filled with the joy of success. The following describes the water lights demo board is free time I used to do, and to share with you on this. All microcontrollers IO port are to spend, and no waste. In order to make the effect of LED water light demo board look more seductive, each arranged in parallel with 8 LED display, a total of 32 groups from 32 IO ports are controlled. To reduce the difficulty level is produced when used 8X8 LED display component, a share of just 32 groups of four. Although many components used in the circuit, but the principle is very simple, as long as the corresponding IO port is set low, then the group of the LED row on light, regular control IO port will show the desired pattern. Because the microcontroller IO port drive current is limited, so every row LED with a transistor for driving 8550 and has a current limiting resistor. Here is a good demo board LED water light, when added to the actual production of the rectifier and regulator circuit, an external AC board to work. Feeling the effect is good, a bit like the neon advertising signs.